Like so many other things in life, falling in love and finding your soul mate isn’t something planned, it’s just something that happens unexpectedly. (Unless you REALLY like to plan) Just like many of us, Natalie and Ciso found each other in the big crazy world and plan on living through the journey that is life together. 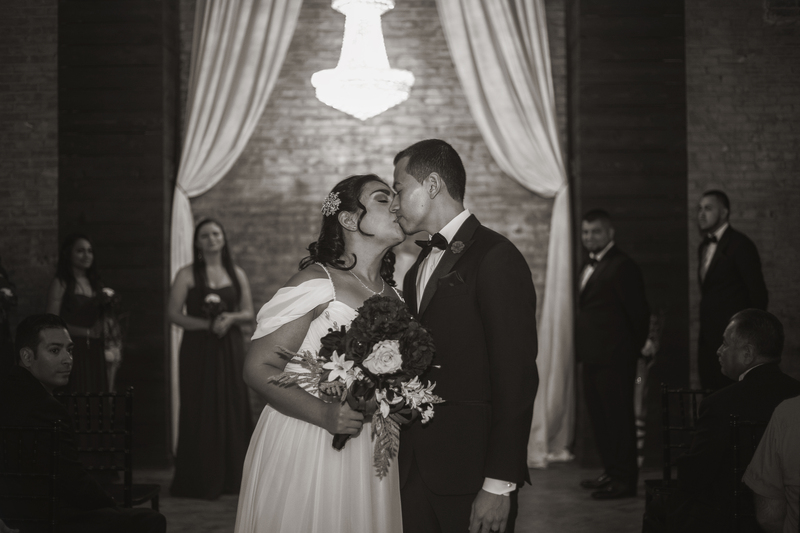 The two were wed at the McKinney Town Center on November, 17th 2018. Natalie works in Pediatrics as a medical assistant and her husband is a Fire Alarm/Telecom Technician. Ciso decided to pop the question on Natalie’s Birthday. At the Reunion Tower in Downtown Dallas, friends gathered to celebrate. During the conclusion of the meal as they finished their dessert Ciso asked Natalie to marry him. She obviously said yes. The wedding was magical, Natalie looked absolutely breathtaking as she walked down the aisle. Ciso looked sharp, standing underneath the bright crystal chandelier, eyes aglow. The ceremony was emotional as we looked back on pictures seeing the progression of their love. Talk about romantic! The reception was lively as ever. Guests and the newlyweds glided across the floor. Dance fever was contagious. Ciso and Natalie danced as if they were the only ones in the world. Because in that one intimate moment, they were. Skys the Limit Production would like to thank you for choosing us for your photography! We wish you two nothing, but happiness!